OASIS for Hair - Services. Quality Hair Care Services for all Occasions. To thank you for visiting the OASIS for Hair web site we'll happily take 15% off the price of any of our quality hair services on your first visit to us. Simply mention the website when making your appointment. Phone OASIS for Hair on (02) 6288 1535. 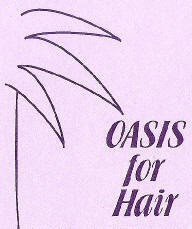 At OASIS for Hair we pride ourselves on our commitment to customer service. We only use the latest equipment and the finest hair care products to ensure your visit with us is a memorable one. The team at OASIS for Hair have years of experience in all facets of hairdressing. At OASIS for Hair you will get a cut, colour and style that's just right for you, not just today, but everyday with our exclusive tips on styling at home. We use quality Joico and Goldwell colours and our friendly team are extensively trained in all techniques and mixtures. A great colour has to include healthy hair and we use these products to ensure fantastic results. The experienced team at OASIS for Hair keep up to date with the latest fashion styles and trends to give you the latest colour and look. Grey coverage is our speciality (we know how important it is) and we work with you to get the look you're after every time. Using the very best Redken perms we can get curl into the finest of hair. OASIS for Hair specialise in perms for clients who require a good base under their weekly set or blow wave. We have years of experience in this area, so come in for a consultation to find out if a perm would be right for you. Natural fresh blondes, bold red panels, tips to create grey blend - it's amazing the look we can create using these techniques! OASIS for Hair is happy to take the time to discuss all your colour options and to work out the colour that's best for you. At OASIS for Hair we use traditional wet set rollers to help create the curl you want. We are one of the few salons in Canberra that can set wet hair to create lasting body and shape, even for the finest hair. When you need that special styling to look great, and last, OASIS for Hair is the place for you. Whether it's full and bouncy or pin straight hair you're after, we'll create it! We use a range of brushes, Velco rollers, hot rollers and the revolutionary GHD styler to get the look you want, every time! We all know men like to be pampered too. At OASIS for Hair we offer a complete range of hair care services for men - from a quick 'buzz cut' or short back and sides, to the works (shampoo, conditioning, cutting and blow wave). We can create a whole new you! Perhaps you're in town for an important business meeting? Or maybe you're off to win the job (or lady) of your dreams? Why not pop into OASIS for Hair for a quick, professional haircut to ensure you look your very best. We all know not all kids like getting their hair cut, but the relaxed, patient team at OASIS for Hair take the stress out of 'hair cut day' and take the time to make sure your kids hair cut is not only top quality, but it's a happy experience for everyone. We know your little ones will love coming back to OASIS for Hair. The team at OASIS for Hair ensures the hair styling for your special day is perfect. Wedding Trial Service - Why not take advantage of our trial service? We can offer you a trial before the big day, so you can get an idea of exactly what style you want, and how it will look. Being hair care specialists, we have lots of great ideas and work with you to come up with the style that suits you the most. On your wedding day at OASIS for Hair relax with a complementary glass of champagne while we create the perfect look for your special day. 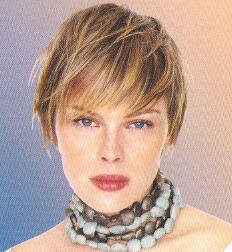 The team at OASIS for Hair are all extremely skilled in styles for formals and formal occasions. We not only have a range of unique and exciting styling ideas, we also have a great deal of experience in helping you decide the look you want. Why not pop in for a chat and get some ideas for your special night. Extensions are great for people who want to add extra body to fine hair. Just a few added pieces can work wonders and give you a whole new, confident look. You can style your hair as you would normally, without ever having to worry about your hair losing condition. Call into OASIS for Hair for a free consultation and find out more about hair extensions. Hair needs TLC and so do you! Hair treatments are not only a wonderful way to relax, they do wonders for thirsty hair. Try our beautiful moisture treatments, using the famous 'Fudge' and 'Joico' products. Sit back and relax with a gorgeous scalp massage and have quiet time with a complimentary cup of freshly brewed coffee or tea, while your hair gets the treatment it deserves - your hair will thank you and so will your soul. At OASIS for Hair we can also advise you on special hair care treatments at home, so you can always have healthy, shiny hair from the inside and out. If you have a special occasion coming up like an awards dinner, a formal or a wedding why not let the team at OASIS for Hair create a great, long lasting look. We specialise in hair ups and styling that will last long after the partying stops. Why not come in and see the look we can create for you. Check out all the hair services price list available at OASIS for Hair. If there's a service you require, but it's not listed, let us know and well do our best to accommodate you.